Give your kitchen counter or breakfast island a touch of style with this beautiful Corliving low back bar stool. Crafted with a contemporary style, it's sure to blend easily into a variety of kitchen decor. Easily fit this adjustable chair to any size counter or bar. Its chrome base frame gives a stylish flair to this piece, surprisingly easy to match with other decor. A terrific addition to any kitchen counter or breakfast island, this beautiful Corliving low back bar stool combines top-notch design and durability for a truly timeless piece. You'll appreciate how well its contemporary design fits into any room in your home. Its brown base frame gives a stylish flair to this piece, surprisingly easy to match with other decor. B 357 UPD Metal Chrome Low Back Armless Bar Stool with Red Faux Leather Seat - Set of 2 Give your kitchen counter or breakfast island a touch of style with this beautiful Corliving low back bar stool. Crafted with a contemporary style, it's sure to blend easily into a variety of kitchen decor. Easily fit this adjustable chair to any size counter or bar. Its chrome base frame gives a stylish flair to this piece, surprisingly easy to match with other decor. 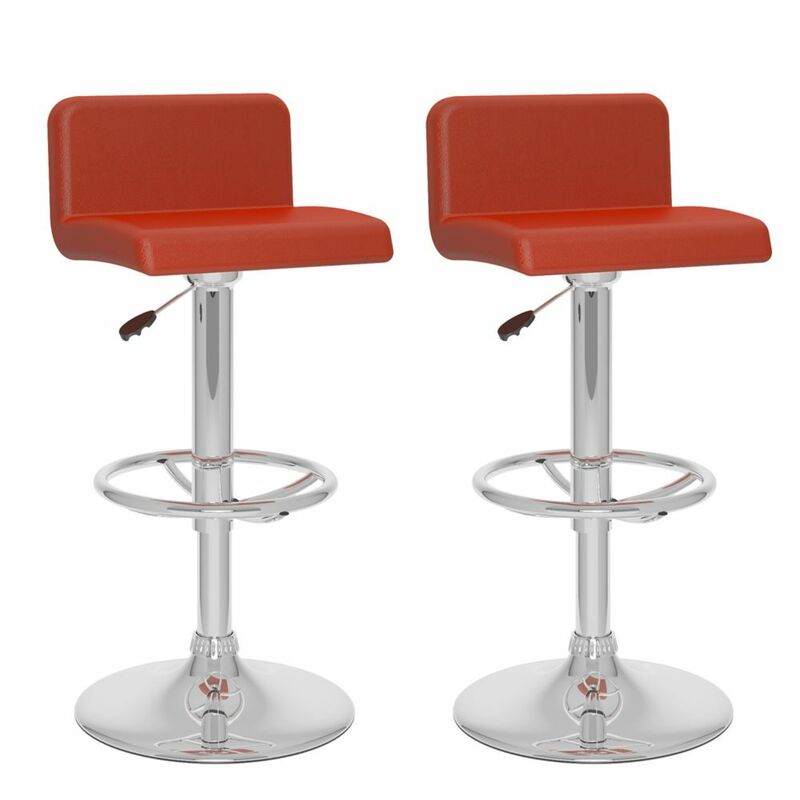 B 357 UPD Metal Chrome Low Back Armless Bar Stool with Red Faux Leather Seat - Set of 2 is rated 2.0 out of 5 by 1.